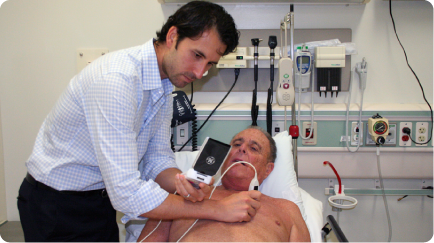 SONOSIM SUMMARY: This article from Academic Emergency Medicine provides an overview of the important role bedside ultrasound plays in the everyday activities of emergency physicians, and advocates for ultrasound as a key tool for improving clinical decision making and patient care. The authors mention several barriers to bedside ultrasound education and conclude that in order to better integrate ultrasound into emergency medicine practices, a standardized comprehensive ultrasound training approach is necessary. To read the complete article, visit The Wiley Online Library.